I don’t get it. I’m amazed by how many companies still haven’t graduated to this century. 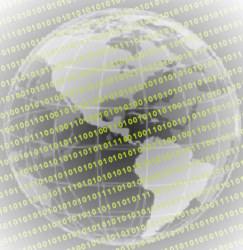 We live in an ever increasingly digital and transparent world. In just a few minutes, emotions, fueled and leveraged by the immense power of social networks can blow enough oxygen on a spark to make a raging inferno. You could call the offending organization on the phone to vent. Sure, you might even get to speak to someone, but what would you achieve? You could threaten, beg or plead. Even if you deftly walked your way up the phone tree past the supervisors, managers and even executives, your chance of a resolution was entirely dependent on the honor of the other party. It was incredibly easy for companies to simply just say “No”, or even just ignore your pleadings with no consequences. There was no public visibility of your problem. You could email them, and you might even get a “Thank you for your email, we treat all your feedback with respect” auto-response. Often not even that. Another dead end. Realistically, unless you were a celebrity, or had a journalist in your back pocket (who was interested in making a story out of the event), you were most likely out of luck with getting any traction. Sure, there was word of mouth and reputation, and you could retell your sour experience to everyone you who would listen, but unless you “bought ink by the barrel”* your voice was as worthwhile as whispering during a tornado. *In reference to the tremendous power of newspapers in days of old. These days, buying ink in barrels is not an indicator of power. The first steps in redressing the customer/merchant balance were the review and reputation services. With research you could read comments and star ratings about a company. The problems with this solution are consistency, coverage and trust. Only an incredibly small number of people bothered to rate anything, and results were typically polarized by the experience (only those with an incredibly good or bad experience had any motive to post anything). Also, there was no real concept of authentication; it was just too easy for merchants to “stuff the ballot box” with their own five star reviews. Next came eBay. This was great progress. 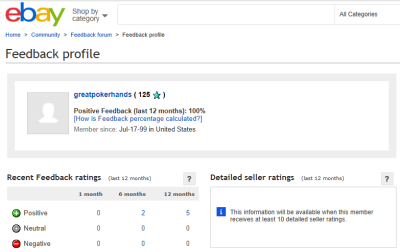 On eBay, 100% of transactions are rated cf. the fraction of a percent above. Reputation was (and still is) everything to sellers. A business lives or dies by its reputation on eBay. So much so that, if there is any reason why a buyer will not give a perfect rating to a seller, the seller wants to know. A conscientious seller will go out of his/her way to make things right (even going beyond what might even be considered fair), because the cost of resolving an issue with a customer who has a bad experience is lower than the potential loss of future business that a non-perfect reputation might cause. But eBay is narrow-cast in that only people interested in a particular product see the feeback on that merchant. The power of social media like facebook and Twitter are impossible to ignore. Everyone carries around in their pockets the tools to spark revolution. Even the smallest person has a voice. Decades ago, in a Cold War era, governments could control the media in their regions to control their people. Not anymore. If you are upset, you can tell the World. This same power of transparency and communication gives people consumer protection. 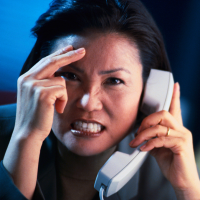 Today, if you’re unhappy with customer service, you Tweet about. If you have lots of followers, they instantly know. Even if you don’t have many friends, the judicious placement of a #HASHTAG can get you an instant audience whose eyeball count is indistinguishable from a telephone number. A Tweet is ephemeral, but a facebook posting lasts a lot longer. Many successful companies get this. But I’m still staggered by those that don’t. When a client is upset, customer service is the first and only line of defense in these matters. Don't companies get this? If you run a company, when someone reaches out for assistance you need to be ready to attenuate their concerns (or at least be transparent and open in your communications). I’m not suggesting you fall on your sword every time, but going above and beyond, paradoxically, pays dividends. You even have the power to turn a bad incident into an incredible positive experience (Research shows that people who have had a negative experience resolved professionally become even more loyal to your brand). Alternatively, how would you like to let 13 million people know that United Airlines breaks guitarss and doesn’t care? (one of the first of these incidents to go viral) It’s not just the event itself, it’s how you deal with it. It seems like every other week some customer service horror story gets virally shared on my facebook news feed. 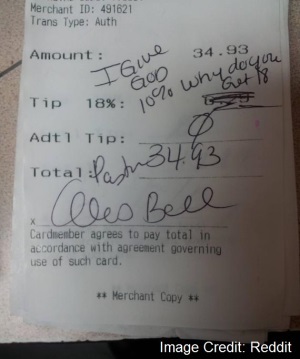 Remember the debacle of about Applebee’s handled this situation? If you run a company, insert your own nightmare about something like this happening to you. A friend of mine was relating his experience with American Express. He applied for their Platinum Card, then after a month or so, for unimportant reasons, decided he no longer wanted the card. He called up their support to cancel. “Yes Sir, we can take care of that for you. I’ll cancel the card.”, said the representative, then, to his utter surprise, she went on to say “I see that you’ve already paid the $495 annual fee, I’ll make sure we credit that back to you within the next two weeks”. And they did! He was utterly surprised. Can you estimate how many people he has now told this story to? Do you think it is a coincidence that American Express has been rated highest in customer satisfaction for six consecutive years? Think about all the companies you know that have excellent customer loyalty, reputation and respect. These companies all have excellent customer service departments. Yet some companies still don't get it! If you deal with customers, make sure you have a good support department. Make sure they are constantly monitoring facebook and Twitter (the publicly facing channels) as well as responding to your email, fax and phone enquires (your private channels). Empower them to assist people, and give them some flexibility. Use common sense: On a personal level, I’ve experienced companies that have wasted dozens of hours of their support staff holding the (wrong line) on a matter because they were drones who were not allowed flexibility. Do you really want to be remembered as a company that spent $250 on hourly contingent staff support costs on an incident instead of simply being elastic and replacing that $30 device that was just out of warranty? Your lack of elasticity will have gained you a bad reputation, shared with thousands, and a net loss of profit for no benefit. With scale, that sounds like a great way to go out of business. (Oh, and if your business model is based on repeat business, it’s 6-7 times more expensive to gain a new customer than to tender and service an existing customer, and according to a survey, 89% of customers report having stopped doing business with companies because of bad customer service). Don’t ignore problems, they don’t go away by themselves. You need to respond. You shouldn’t lie. The truth comes out. The only thing that will happen is you will dig yourself deeper and deeper into the excrement. Arguing in public environment will not buy you much favor. Unless the person is just a total whacko, in which case their irrationality hangs themselves. A polite “Thank you for your concern, please contact us directly offline at XXXX and we’ll be happy to address the situation”. Take the dirty laundry off stage and into a more controlled environment with no public audience. Be honest, be humble, be professional and be quick.